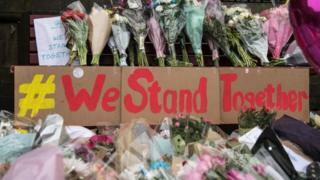 The NSPCC has told Newsround they have held over 300 counselling sessions with children following the terrorist attack at the Manchester Arena. That is four times as many as usual. The charity also says they have taken hundreds of calls from children concerned by the attack on an Ariana Grande concert in May. An 11-year-old who called the helpline said: "I constantly feel anxious… I am really worried that they will get someone in my family. I haven't been sleeping because it is all I can think about." Another caller, a 14-year-old girl, said: "I'm always on the edge when I leave the house and am always looking over my shoulder." Another charity, Victim Support, told Newsround they had helped hundreds of children who have struggled with sleeping or spending time in crowded places. Thousands of people had just watched an Ariana Grande concert on 22 May 2017, when an explosion went off in the foyer of the Manchester Arena. Hundreds were injured and 22 people died. The man who detonated the bomb, Salman Abedi, was also killed. The following day, Prime Minister Theresa May said: "This attack stands out for its appalling, sickening cowardice, deliberately targeting innocent, defenceless children and young people who should have been enjoying one of the most memorable nights of their lives". Newsround has spoken to nearly 20 young people who were at the concert, and while they weren't hurt physically, they were emotionally affected. Florence told me how she still battles with emotions like anger and guilt. "Over the next few days I shut myself off in my room… I'd eat and then I'd go back upstairs… it was like a dark cloud came over me." She told Newsround how she couldn't speak to anyone about it, and even stopped going to school. Eventually she spoke to her dad, who persuaded her to speak to a counsellor at a group designed for people who have served in the army, navy or air force. Florence says the group really opened her eyes, and helped her understand that, "if my parents understand and my friends understand, that's all I need". Florence now talks openly about what happened, and helps others by talking about the attack on YouTube. Newsround also spoke to two 13-year-old friends, Emily and Lauren. 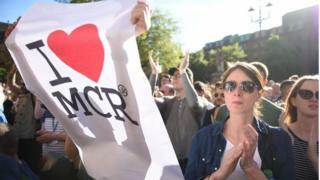 They were at the concert and found it difficult to talk about their feelings following the attack. Lauren and Emily say speaking to each other about what had happened was the most helpful thing. They cried at school, and found it difficult to escape the coverage. "There was so much about the bombing on the news, it was everywhere, on Snapchat, on Facebook. Everyone kept coming up to you… it's really hard to get away from it." Their school set up a support group with a counsellor. Many people who attended the concert were there, so the girls were more comfortable talking about the incident, and how it made them feel. "It's nice to know there are other people going through the same thing as you and you are not alone. "People can help you get through it… you're taking it off your chest and giving it to other people so they can understand how it felt to be there and it makes you feel lighter about it." Psychologists and counsellors told Newsround they are still getting calls from children who need help. They say this is because complicated emotions and feelings can last a long time after a traumatic event. It's perfectly normal to feel upset when something like this happens. So try and talk to someone you trust like a parent or a teacher. Talking to your friends can also help - sharing how you feel as a group can help you feel like you're not alone. There are also charities that can help you like Childline and Victim Support. They offer the chance to talk to someone who knows how you're feeling and they can get help for you if you need it. It's important to remember that being sad, worried or angry about awful things that happen in the world around you is normal. You won't be the only one who feels that way. But sometimes doing things that make you happy can help you feel better. Watch your favourite film, take your dog for a walk, play football with your friends or read some of your favourite book. If you read a sad story, then try and read a happy one before you go to bed. And remember, we talk about some difficult things on Newsround because they are rare and do not happen very often. Although people are spending a lot of time talking about it, it is still very unlikely that events like this will affect you or your family. The most important thing is that if you are feeling upset, don't keep what's troubling you about the news to yourself. Talking about it can make you feel better. For more help if you are upset by the news, please follow the advice on this page. 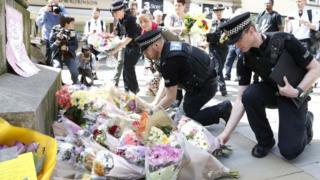 Manchester Arena attack: What happened?